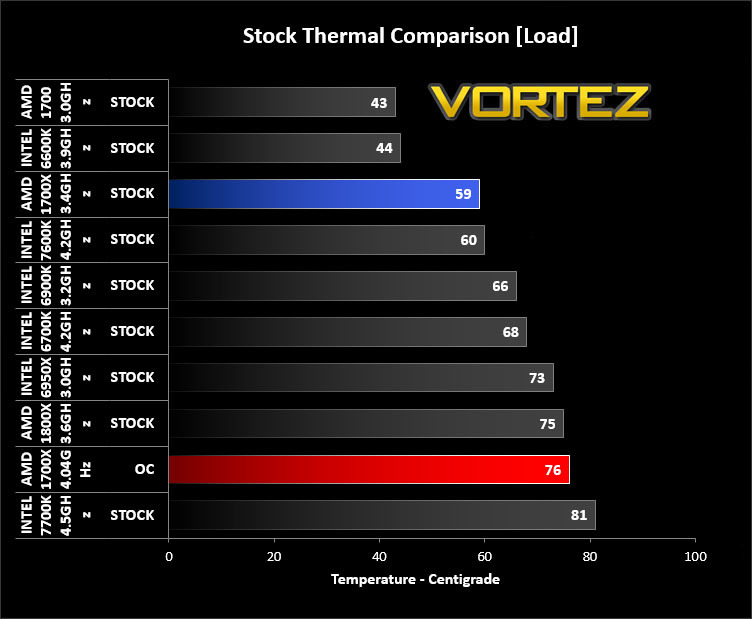 Though running significantly warmer than the 65W TDP 1700 CPU, the 1700X does run a little cooler than the 1800X thanks to its overall lower clock speed, also our chip managed to overclock at a relatively decent voltage, meaning it ran just a little warmer than the 1800X under full load. 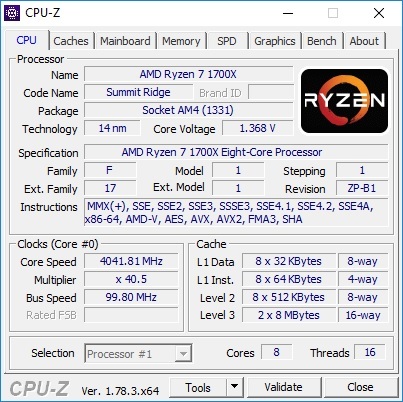 Despite running at similar temperatures to the 1800X, we were unable to boot at 4.1GHz or over, so we can only assume that the 1700X may be lower binned than the 1800X; which we are able to boot in at 4.15GHz. So rather than trying to pump more voltage through the CPU, we decided to find a respectable frequency to boot in at (4.05GHz) and then find the lowest voltage required to keep it stable. This ended up being a rather impressive 1.387V, much lower than we anticipated, thus resulting in relatively low overclock temperatures (similar to the stock 1800X temperatures) as well as giving respectable power consumption levels. We also noted some play in the frequency of the first CPU core, but we were unable to determine if this was down to XFR or some other aspect of the sense MI technology.